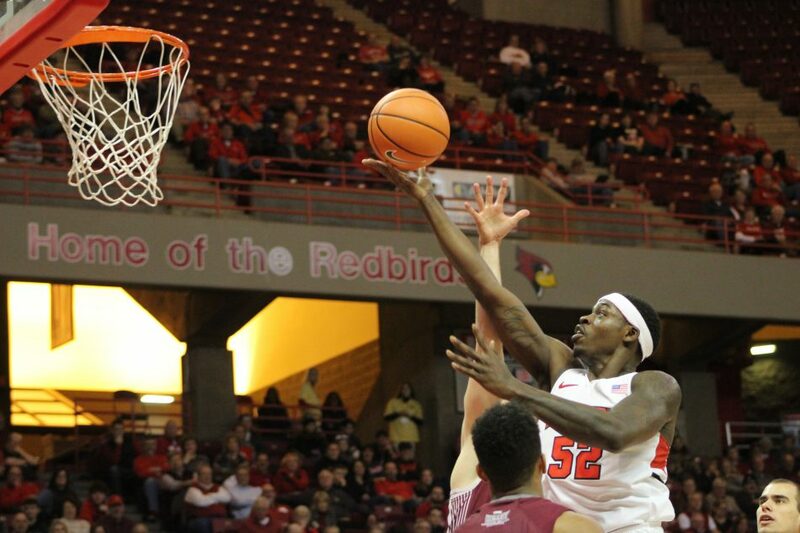 NORMAL – Milik Yarbrough has announced his decision to stay on the Illinois State Men’s Basketball team for his senior season. Yarbrough transferred to ISU after playing two seasons at Saint Louis University. Yarbrough had to sit out a year due to transfer rules, making the 2017-18 season his first as a Redbird. Yarbrough was named Missouri Valley Newcomer of the Year while leading the Redbirds in scoring, averaging 16.6 points per game and was second to teammate Phil Fayne in rebounds grabbing 6.6 per game. Yarbrough said the main reason he wanted to stay in a Redbird uniform was to obtain his lifelong goals. “A lot of things came into play but I really want to win. I also want to graduate and get my degree,” said Yarbrough. Yarbrough also talked about the things he believes he needs to improve upon in the summer and next season before entering the draft and beginning to workout with NBA teams. “(I) need to improve my leadership role and shooting. Defensively I want to be guarding one of the best players on the floor every game, and like I said before I want to win,” added Yarbrough. All the talk about winning next season inevitably turned into a question about Loyola-Chicago and their success this seasons. Yarbrough said the Redbirds are looking to use Loyola’s success as motivation for next season. “It’s crazy, because we feel like what we had last year and what we are going to have next year we can make the same type of run,” said Yarbrough. “We are just trying to make it special and be one of the best teams that has ever played here (ISU),” added Yarbrough. The decision to stay will lead to ISU keeping its three headed monster of Keyshawn Evans, Phil Fayne, and Yarbrough from a season ago. It will be their second year on the court together for the Redbirds and a chance to improve on their 18-15 record in year one. Clayton Baracani contributed to this story.